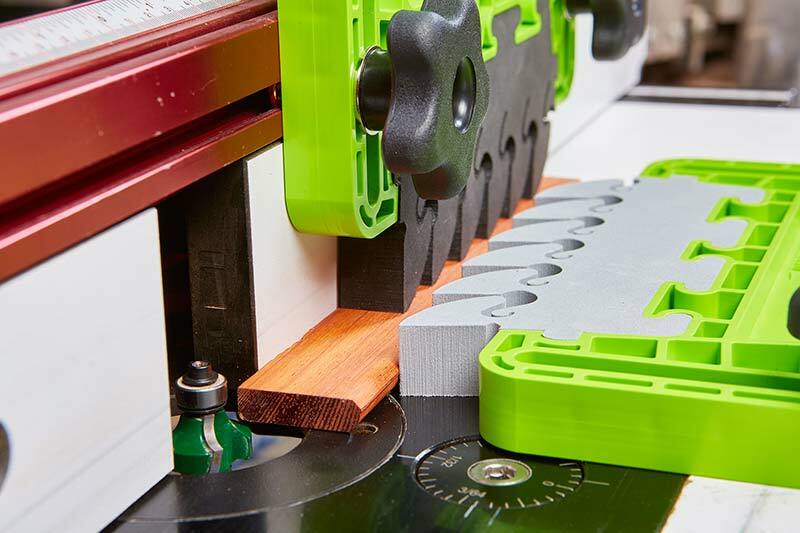 The FeatherPro Featherboard developed by Bow Products is a game changer in woodworking tools. Sure you might read that and think that sounds like a lot of hype, but they've got the stats and the features to back it up. Just take a look at some of the features this featherboard provides below. • ANTI-KICKBACK LIVING HINGE DESIGN - Dramatically reduce your chance of harm through this hi-tech hinge while maintaining amazing flexibility and feel. • EASIER / SMOOTHER GLIDE ON INFEED VERSUS PLASTIC OR WOOD FEATHERBOARDS – This is especially true when applying higher pressure. • VIBRATION RESISTANCE- You'll achieve higher quality cuts because the feathers absorb vibration so well. • EASIER GLIDE + VIBRATION RESISTANCE = IMPROVED OUTFEED MATERIAL CONTROL – Minimize chatter marks. • HARDENED FOAM FEATHERS - These are especially beneficial if they come in contact with Carbide Blades or Router Bits. Greatly reduces or even avoids shattering the Blade or Bit. 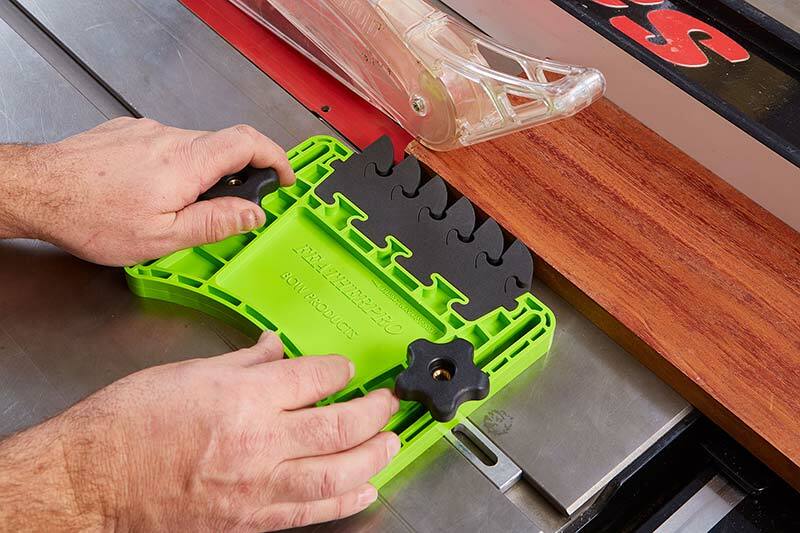 Translates to improved safety to woodworkers avoiding shattered material debris. Saves the Blade or Bit. • INTERCHANGEABLE FEATHERS - If you ever make a mistake we've got you covered. Our patented feather design easily swaps out if they ever become damaged. • NON-MARRING FEATHERS - You can apply lots of pressure or a little pressure depending on what you're doing EVEN WHEN working with soft woods! You'll never use a wood or plastic featherboard again. • VERSATILE - You don't need a left and a right. The FeatherPro is reversible by simply flipping it over and reversing hardware. You can also use it in the vertical position, not just horizontal. BOW tools may be shipped via UPS or USPS. BOW tools will ship from our warehouse in Columbus, Ohio.